Meet Livvy. 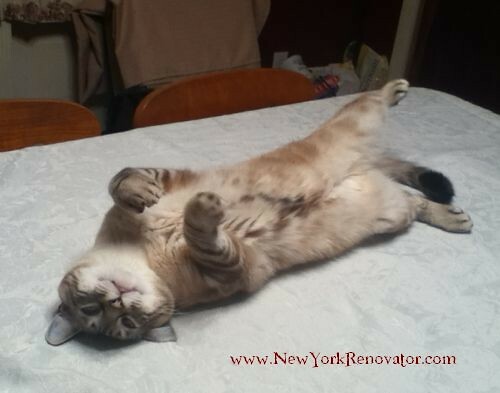 I don't talk about her much on this blog because she has practically overrun my other blog, NewYorkRenovator. But her cuteness often spills into my other blogs. 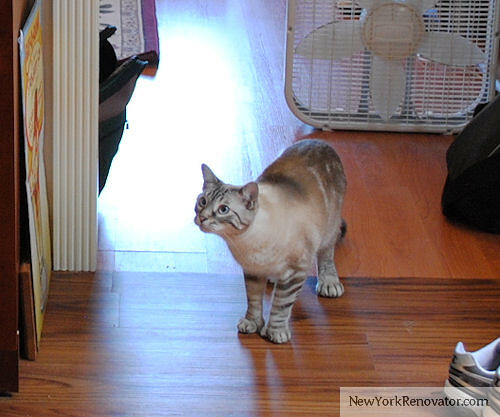 She's half Siamese and therefore she can be a little… shall we say, "high strung." She's very close to me and when I leave the house, she moans pitifully until I return. When I travel overnight somewhere, she's a wreck. It's nice that she's so attached but I worry she may become sick from depression. This summer we got her a Comfort Zone® with Feliway® product. 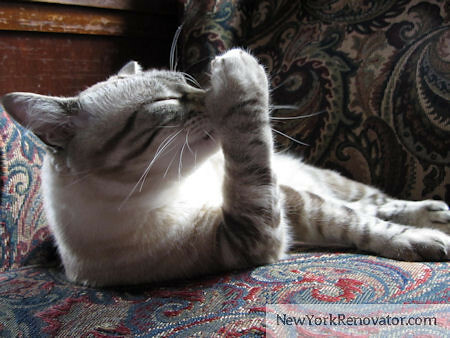 The stuff has cat phermones that help calm the cat and relieve stress and stress-related behavior like spraying and scratching the furniture. By golly, I think it works! Gotta love them pheromones! 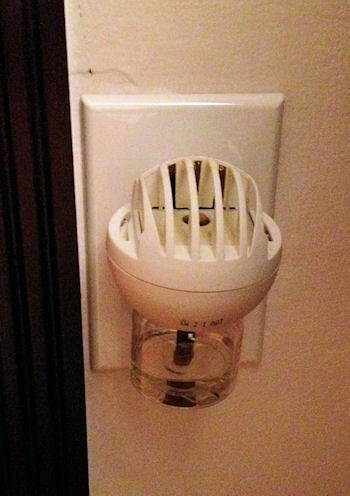 LOL The Comfort Zone® with Feliway® product comes in a diffuser (which you plug into the outlet) and a spray (which you apply to furniture or into the carrier before you take the cat to the vet). The product is odorless and mimics the facial hormones that kitties produce. Livvy hardly ever scratches our sofas anymore!! This is a miracle! And she's obviously more relaxed and happy. Isn't she adorable?! She still hates it when I leave, though. I don't know if any product could fix her loneliness. If you have a crazy cat, definitely check out the Comfort Zone® with Feliway® product. They also have one for dogs — we use that for our Yorkies, too. You can find the product at online pet store, PetSmart, and Petco. And check out the page on Facebook, too. I think it's an excellent product! Interesting. It’s about time “they” took advantage of some of these chemical miracles.